Quijada began writing spoken word poetry at a young age, later leading to public performances at poetry slams in Chicago and eventually frequenting the nationally reknowned Nuyorican Poet's Cafe in NYC. His desire to see more Latinx stories like his own being told on stage and to offer more minority storytellers a platform led him to begin writing plays. Brian's writing is influenced heavily by his upbringing, his immigrant parents, and his continued search for identity. His work is infused with the sounds of his childhood: Latin rhythms, hip hop, R&B, and 70's and 80's rock. A self-taught playwright, Brian's plays use non-traditional conventions like live-looped music, digital finger drumming, spoken word, clowning, and turntablism, alongside traditional forms to drive his narratives. Quijada has been a writer-in-residence at The Kennedy Center and The Eugene O'Neill Theatre Center. Brian's first play WHERE DID WE SIT ON THE BUS? won Outstanding Solo Performance and Sound Design at The Chicago Jeff Awards in 2016 and earned him two Drama Desk nominations in the same categories for its Off-Broadway debut. 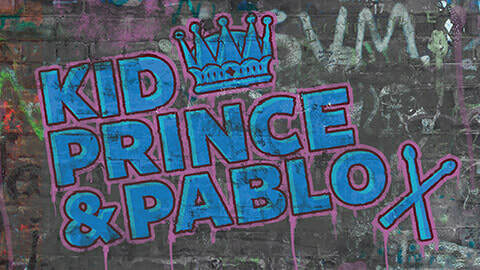 His second play KID PRINCE AND PABLO will have its World Premiere at The John F. Kennedy Center for the Performing Arts in Washington D.C. in the fall of 2019. During a third grade lesson on the Civil Rights movement and Rosa Parks, a Latino boy raises his hand to ask "where did we sit on the bus?" and his teacher can't answer the question. Told through rap, hip-hop, spoken word and live looping, Brian Quijada's autobiographical WHERE DID WE SIT ON THE BUS? is an electric one-man show that examines what it means to be Latino in America. Based off Mark Twain's The Prince and The Pauper, KID PRINCE & PABLO reimagines the classic tale of mistaken identity with a Digital Age, Hip Hop-Infused twist, to examine race, class, the wealth divide, and what it means to walk in someone else's shoes in our America. Missing Bolts Productions (Blair Baker & Zac Kline, artistic directors) and NoPassport Theatre Alliance and Press (OBIE-winner Caridad Svich, founder) curated a collection of new plays from noted international playwrights in response the shooting at Pulse Nightclub, June 12, 2016. The plays were presented across the US and abroad with collaborating venues in Los Angeles, Denver, Philadelphia, Detroit, and more. Inspired by Reina Quijada’s journey from El Salvador to the US and by L. Frank Baum’s The Wonderful Wizard of Oz, SOMEWHERE OVER THE BORDER embraces the factual and the fantastical in its depiction of one young girl's pursuit of the American dream. As Reina travels north to the Mexican border, she gathers friends, faces down dangers and holds tight to the memory of the little boy she left behind. Set in the 1970s and propelled by a guitar-driven score, this new musical is both fable and family history – and a testament to the determination born of love.